After a pretty heavy storm, I was happy to see the sun come out for a little while and noticed the beautifully painted sky. I grabbed the chance to connect with nature, and noticed that different connections interact with our daily existence.. through street lights and power lines, and the cell phone I had with me in case someone else wanted to connect. It was a sunny day so I decided to visit the San Gabriel Park after work. I found this tree to have an interesting shape, and I liked the contrast with its curves and the very upright trees in the background. I enjoyed the view and the cool breeze on a warm day! I have been looking back at the photos I took about a year ago when I visited my brother in NYC. 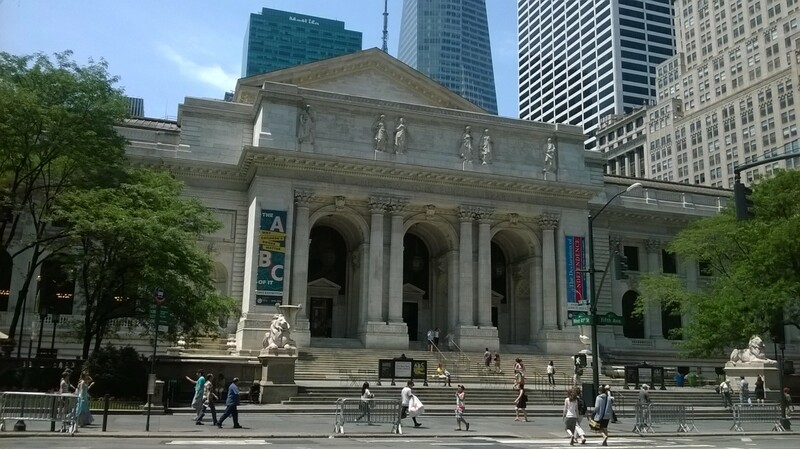 I love this shot of the NY Public Library, flagship location, with the beauty of the ivory building bookended by trees and the movement of passersby. I had a little time to walk around inside but I would love to visit this library again on another trip.